It's Digit-al Dozen week again! 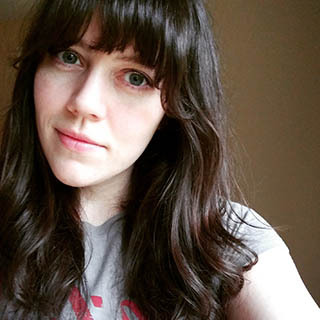 This month we are focusing on all things indie. This prompt is fairly open to interpretation so I decided to use an indie as the "base" of every mani. 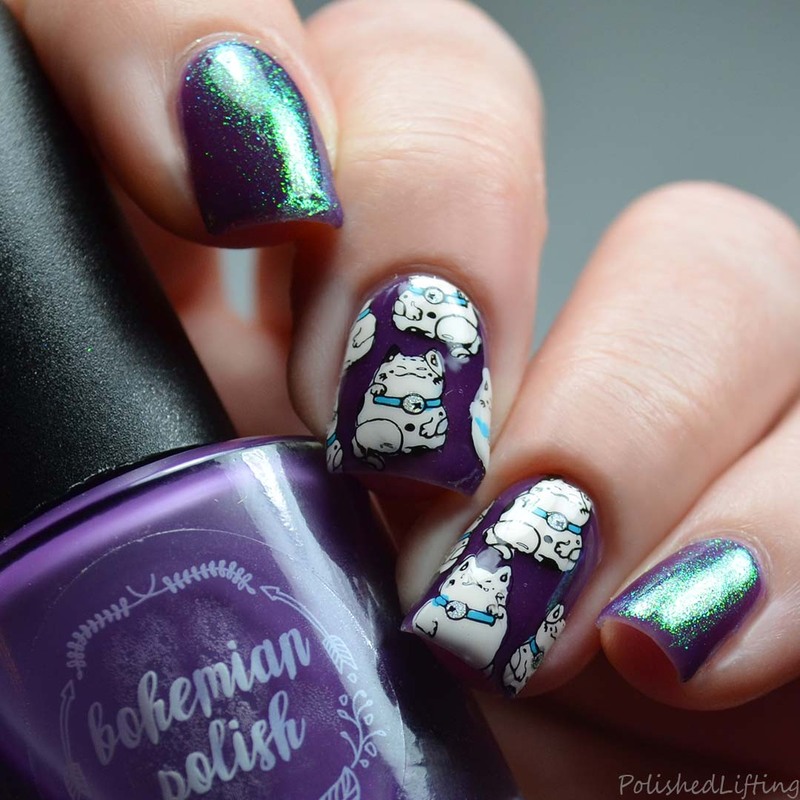 Today's look features Bohemian Polish Royal Lilac stamped with lucky cats from Born Pretty Store. 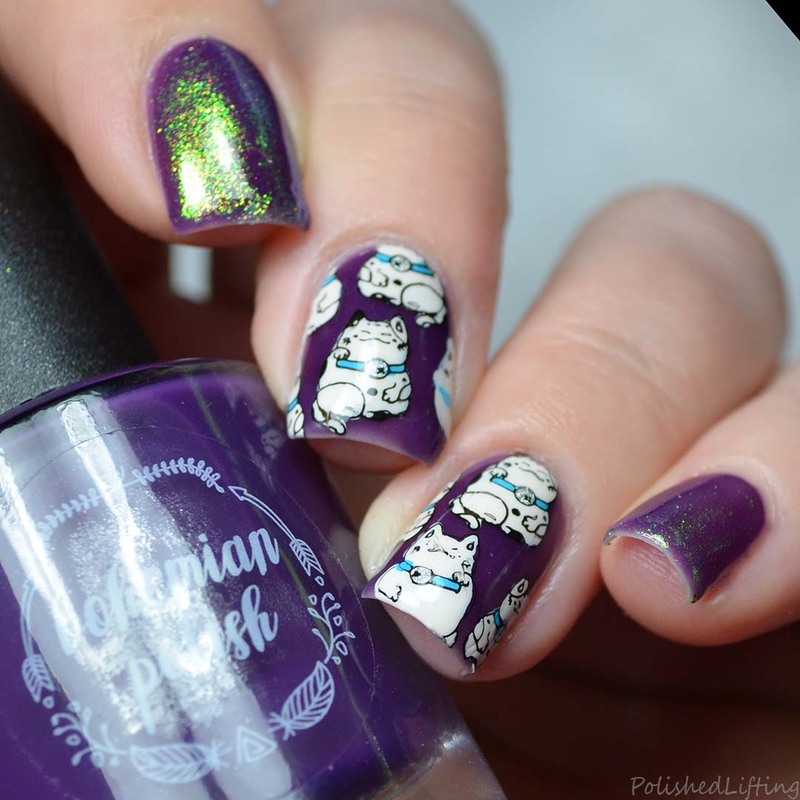 For this look I started with a base of Bohemian Polish Royal Lilac. While that was drying I started working on my decals. The images are from Born Pretty Store Cute Cat Brown Bowknot (id= 41067). Shortly after stamping I filled in my decals with assorted Morgan Taylor shades. You might recognize the silver bell - it's Morgan Taylor Liquid Bling from the Platinum Collection. It's difficult to see in my photo, but it has quite the holo flare. While my decals were drying I applied quick dry top coat and buffed the powder into a slightly tacky top coat. 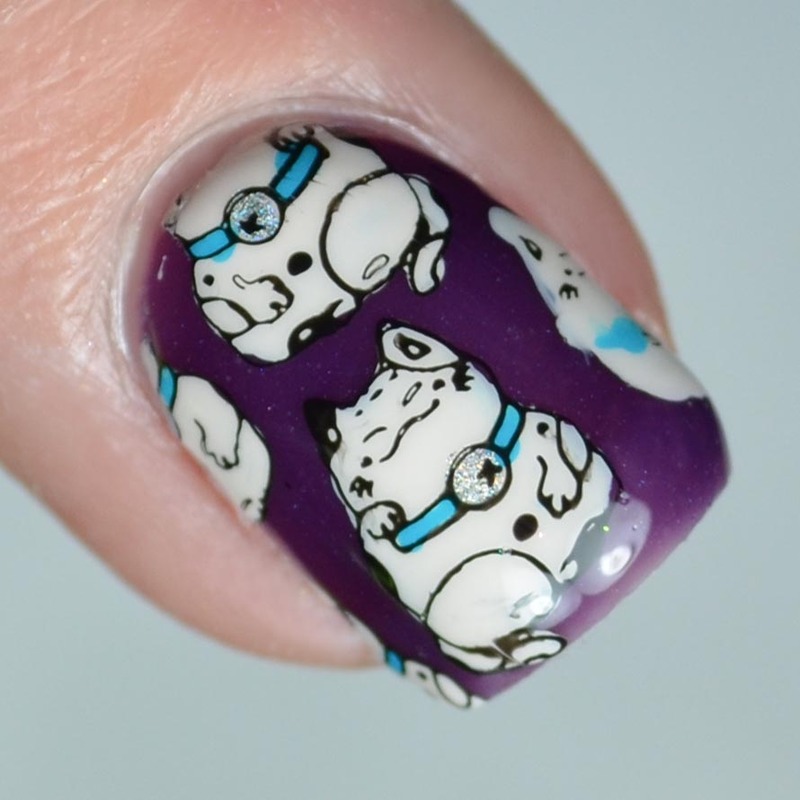 Once I was done with the powder I looped around and applied my decals to each respective nail. If you enjoyed this post you might like Kaleidoscope Stamping feat. 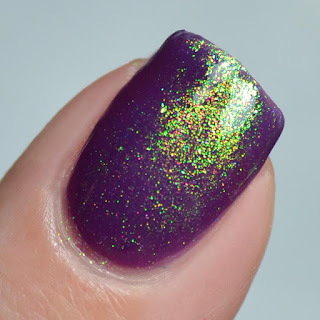 Born Pretty Store Chameleon Laser Flakies and Cupcake Kitten feat. Bliss Polish & Born Pretty Store.